The Third Secret is the most controversial and has given rise to a great deal of speculation. Although the first two Secrets were made public in 1942, information about the Third Secret was withheld. Lucia declared in 1941 that for the moment she was not permitted to reveal it. In June, 1943, she fell gravely ill. The Bishop of Leiria was so worried that he asked her to write down the text of it and place it in a sealed envelope. She agreed, but found herself unable to write the Secret down. For a whole month she struggled against a mysterious and terrible anguish. It seemed as if Satan himself was determined to prevent her. Then Our Lady appeared once again and gave her the light and strength to continue. She sat down at once and wrote out the Secret for the Bishop, as requested. In 1957 the sealed envelope finally arrived in Rome. It seems likely that Pope Pius XII decided to wait until 1960 before opening it, but he died in 1958, and the envelope remained sealed until August, 1959, when it was finally opened by Pope John XXIII. But in spite of the enthusiastic expectation of the whole Catholic world, the contents of the Third Secret were consigned to the archives and a communiqué was issued to the effect that it would not be published. Pope John Paul II , likewise, took no action until the attempted assassination on 13th May, 1981, after which he called for all the information available. But although he consecrated the whole world to the Immaculate Heart of Mary on 13th May, 1982, he withheld publication of the Third Secret until June, 2000. To consider each of the pictures described, the Angel with the flaming sword represents the threat of judgement looming over the world. Man himself with his inventions, such as nuclear armaments, has forged the flaming sword. The vision then shows the power which stands opposed to the forces of destruction – the splendour of the Mother of God whose radiance extinguishes the flames. This is followed by an urgent, thrice-repeated call for Penance, the key word of the Third Secret. Cardinal Ratzinger, who is now Pope Benedict XVI, however, interpreted the ‘Bishop dressed in white’ as a combination of different Popes, from Pius X to John Paul II, all sharing the sufferings of the century while striving to climb the path leading to the Cross. In the concluding part, where angels gather up the blood of the martyrs from beneath the arms of the Cross and give life to the souls making their way to God, we are invited to consider their death becoming one with that of Christ. As from Christ’s death the Church was born, so the death of the witnesses is fruitful for its future life. Thus the events depicted in the third part of the Secret can be seen as relating to the past. What remains is an exhortation to prayer and a summons to penance and conversion. Another key expression of the Secret as a whole: ‘My Immaculate Heart will triumph’. If Our Lady of the Rosary could foresee her eventual triumph, she would equally have known in 1917 that the Third Secret would not be published till the end of the Century. Could it be that she deliberately kept us waiting in order to make a bigger impact? That is one ‘secret’ we shall never uncover. For more excellent information about Fatima, see also Fatima-The Miracle of the Sun and also The Three Secrets of Fatima. -Jim Dunning lives in the United Kingdom. His hobbies include watching rugby and writing short stories and religious articles. Its time for Christ to come.What we can not explain he is going to explain with clear voice. 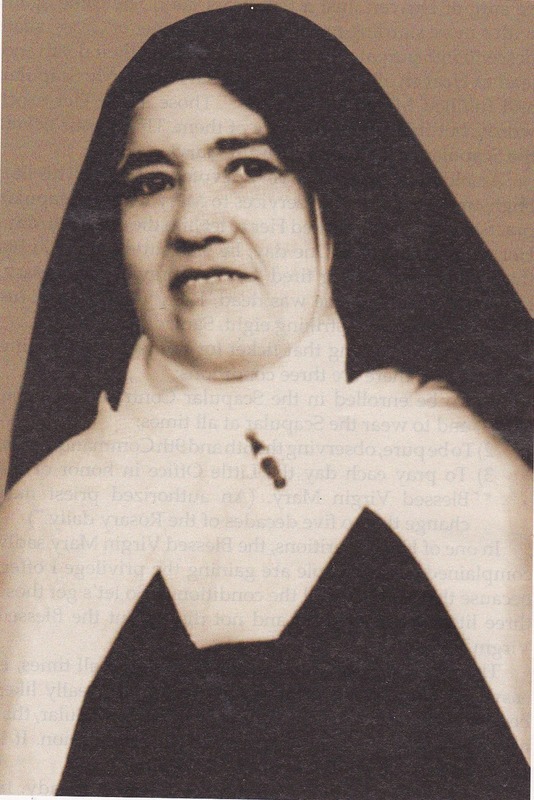 "If Our Lady of the Rosary could foresee her eventual triumph, she would equally have known in 1917 that the Third Secret would not be published till the end of the Century." Yes, which is why Our Lady of the Rosary made sure we had the key sentence, "In Portugal, the dogma of the Faith will always be preserved." The Third Secret of Fatima warns of widespread apostasy in the Church. 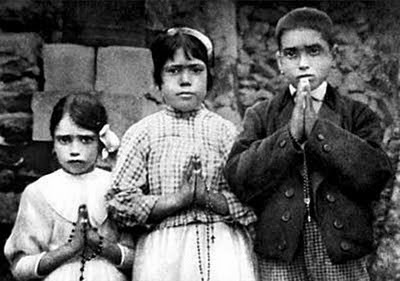 I cannot reveal anything of what I learned at Fatima concerning the Third Secret, but I can say that it has two parts: one concerns the Pope; the other logically (although I must say nothing) would have to be the continuation of the words: "In Portugal, the dogma of the Faith will always be preserved." Thanks for your interesting comments. Concerning the possibility of a widepread apostasy in the Church as allgedly part of the Secrets of Fatima, of course the book of Revelation also speaks of it. What we don't know is the timing, which perhaps is known only to the good God. While I am not one to focus on the "negatives" in the Catholic church, nevertheless one can't help to lament the widespread indifference amongst Catholics of today to the teachings of the Church. I was once exactly like this, so I understand indifference and of holding onto ones own opinions instead of obeying the Church's teachings. Thanks be to God I came to see the truth, and I pray for those who remain ignorant and hold to their own opinions. -Our Lady of Fatima, pray for us! That warningsecondcoming cannot be from God. It seems like the "inhabitants of heaven" are so bored that they have to keep coming down to yak yak yak yak yak. Know your Catholic faith and doctrines so that you will not be deceived. Go read one of Glenn's posts on the 40-year pact with the devil and you'll see how dangerous and easy it is to fall prey to the enemies of Faith. I was an altar boy when the mass was in Latin. Now all this meaningless mumbo jumbo with cadavers nailed to sticks and children whipping themselves at the direction of angels is just one giant creepshow. Wake up! Face the unknown with courage. It now seems there's a new twist to the Third Secret of Fatima controversy. I googled somewhere, a Marian visionary by the name of Dominic L. Sanchez who claims that the Third Secret was revealed to him decades ago. He claims it's a Marian Dogma elevating Mary as God, and the other half of the secret supposedly concerns the suffering of the future Pope. If am not mistaken, the visionary is from the Philippines. “… Sacrilege, blasphemy and outrage will ever increase under Francis and until the end of Benedict XVI who will return as Anti-pope. The true pope will be in exile during the first half of the coming war." Along with Pope Emeritus Benedict XVI allegedly being a "Antipope" he believes that "The Third Secret of Fatima states that She, Our Blessed Mother Mary, is God Herself. She is not another God nor a fourth person of God. Rather, She is the same God that The Most Holy Trinity Is. She, Mary, is the Most Holy Trinity, The Father, The Son and The Holy Spirit, One God." Sadly, this poor soul is very deluded. Hopefully there are not too many people succumbing to his heretical deceptions. Modernism in the Holy Eucharist, I think, is one of the example here. Leaving the TRADITIONAL MASS behind and losing the solemnity during the consecration. I hope all of us will realize the importance of "traditional latin mass" or the "original mass". Anyway, the article is informative and realible. Thanks! Is the third secret is about the safety of the Church and the Philippines? And Pope Francis is the Last Bishop of Rome Because the Bishoporic is moving in the Philippines? Is Mr. Sanchez saying that Mary is the Holy Trinity? How does he explain his claimed Dogma? Claiming that the Third Secret of Fatima is a Marian Dogma which makes the Blessed Mother as God is quite a long shot. I wonder how he can even convince an ordinary layman to believe him. Rome's silence and injustice towards the message of Our Lady of Fatima is causing apocalyptic troubles for humanity. This self-claimed Marian visionary like Dominic L. Sanchez, unbelievable as he may be to many, at least came out with a very courageous stance for what they believe are the messages of the Blessed Mother. This is not to condone false miracles but rather to point out the need to obey the Mother of Christ. Our Lady is The Mother of God, The Holy Ghost is The Father of God, all they want is you to remember their son is God: Christ is God not a talking burning bush.. Try Fatima Movement dot com. The thing about Dominic Sanchez 's claim of Mary as God is that he does not have any approval from the Catholic Church, at least as of now. Kind of shocking some Catholics are so incredibly ignorant of the fact that the Blessed Virgin Mary, who is the true Mother of God as the Person she gave birth to miraculously is God (Jesus), is a creature. How could anyone be conned into believing hellish apparitions that Mary is going to be elevated to God??! God is the holy Trinity–one divine nature in three distinct Persons, God the Father, God the Son, the only begotten of the Father, and God the Holy Ghost, who emanates from both the Father and the Son. Dominic should approach his Bishop. This claim of his is a serious one. The simple solution to solve Dominic Sanchez claim is for Rome to finally reveal the Third Secret of Fatima. Dominic's claim is a long shot indeed, but weird as it may be, you have to disprove it with facts too. There's no better proof against Sanchez's claimed dogma than the Third Secret itself - if it doesn't actually state what Dominic claims to be a Marian Dogma which elevates Mary as God. wow! what a claim. What do you think will this Mary is God Dogma do to the CAtholic Church? Wouldn't this only widen the gap between Catholics and Protestants? If the Third Secret of Fatima really states the Dogma Mary is God then the Pope really has to make a big explanation. If dominic is really serious about his claim that Mary is God and that the 3rd secret of Fatima is a Marian Dogma then let him go to his Bishop. and now Dominic seems to be telling people that the 16th President of the Philippines will only be elected after the election of the successor of Pope Francis, that is the 267th Pope. it's only 2 days to the Philippine presidential election... so what exactly is he saying? ..that the Philippine election on May 9 2016 will be postponed until after the election of the 267th Pope? this man is making so much strange prophecies and claims. "The 16th President of the Philippines will only be elected after the election of the 267th Pope." With this he is telling us that current president Aquino of the Philippines will only be replaced after the Pontificate of Pope Francis. Philippines just had its election last week and there was a winner already but we may also take note that the President elect in that country will only officially be seated on June 30th this year. until then everything is still not final. dude, he's telling us that filipino duterte president will not be the 16th president. so will there be another election? who is dominic l.sanchez? a real visionary of catholism? The third secret is that all those who identify and are true Christians will be killed by a govt. military force, even the Pope will not be spared. How obvious. We failed to make penance. The woman who rides the beast, mystery Babylon drinks the blood of those martyred, i.e. she's responsible. Though small she controls a great and evil military beast, i.e. US/NATO govt. And military. Pray and repent to prepare for this. It would be miraculous if Dominic Sanchez 's purported Vision is approved. Do we have any other updates on the Fatima Secret? World War 3 is fast approaching. Keep denying it! Some people will believe anything. This deluded nonsense has plagued humanity for long enough. Wake up people. There is no God. Some people that including me. I didn't just believe anything. I was an agnostic, but I encountered with GOD (JESUS CHRIST) through dreams and vision. Wake up, people, there is GOD,The Almighty who created the Universe. Repent and walk away from your wicked life. Sorry to tell you this guys.The third secret vision is not that published by the vatican. That published here are not entirely true. That is just a part of it. It is significant though because it tells what will happen after the third secret comes to pass and if it is truely published.The secret still remains a secret even though the vatican knows its content.Why do you think the devil has kept it from being published for so long? What do you think caused the assassination attempt on the pope? The pope after he became aware of the real secret wanted to publish it. He survived the assassination but was sent an ominous message on his hospital bed which made him forget about his plans to tell the world the secret. Remember the pope knocking his head 3 times on the tarmac at the airport when he landed in that backward nation of Africa,against his normal practice of kissing the earth? Dear friends the world is deeper than we think. Half truths and the likes by the devil continues to keep us away from God's word.God foresaw this in Romans 1:15-30. We must continue to fight against the lies of the devil. The vatican will be no more if the third secret is revealed! All attention will turn to Africa.A lot of people who depend on the papacy for their livelihood will lose out. To cut this short the third secret which the virgin Mary appeared and told the three at Fatima and which has kept Lucia de santos for so long struggling to reveal it that the Son of Man in his second coming will be born. He will be noir(black). That is the third secret which the mafia has refused the vatican to publish. Friends before you doubt this please discreetly make your own findings but note that it will not be easy to get to the bottom of it. God bless you all as this revelation is made to you. So much speculation about the Third Secret, and, it appears, economy with the truth from the Vatican. "Given the seriousness of the contents, my predecessors in the Petrine office diplomatically preferred to postpone publication so as not to encourage the world power of Communism to make certain moves. "On the other hand, it should be sufficient for all Christians to know this: if there is a message in which it is written that the oceans will flood whole areas of the earth, and that from one moment to the next millions of people will perish, truly the publication of such a message is no longer something to be so much desired." The Pope continued: "Many wish to know simply from curiosity and a taste for the sensational, but they forget that knowledge also implies responsibility. They only seek the satisfaction of their curiosity, and that is dangerous if at the same time they are not disposed to do something, and if they are convinced that it is impossible to do anything against evil." At this point the Pope grasped a Rosary and said: "Here is the remedy against this evil. Pray, pray, and ask for nothing more. Leave everything else to the Mother of God." The Holy Father was then asked: "What is going to happen to the Church?" He answered: "We must prepare ourselves to suffer great trials before long, such as will demand of us a disposition to give up even life, and a total dedication to Christ and for Christ … With your and my prayer it is possible to mitigate this tribulation, but it is no longer possible to avert it, because only thus can the Church be effectively renewed. How many times has the renewal of the Church sprung from blood! This time, too, it will not be otherwise. We must be strong and prepared, and trust in Christ and His Mother, and be very, very assiduous in praying the Rosary." 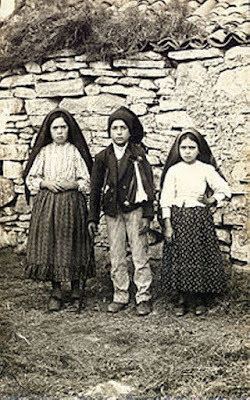 "Now as regards the mystery of Fatima it still stands.... So Russia is within the plans. Why? Err....that would take me too far afield into papal secrets. Why Russia and Kiev are involved in the final solution of this problem. But they are. They are part-and-parcel and it's really God's choice. And it is purely and simply God's choice. Like he chose the Jews. He has His own favourite solutions. I wouldn't have chosen Russians or Kiev or The East for salvation. But salvation is to come from the East." I am Dominic L. Sanchez, a Marian visionary from the Philippines. Our Lady appeared to me in a vision in August of 1994 and thereafter revealed to me the True Contents of the Third Secret of Fatima. Our Lady also revealed to me other mysteries of our Holy Catholic Faith. The True Third Secret of Fatima is composed of two parts. One part concerns a Dogma of Faith and the other part concerns the suffering of the Pope who will accomplish the Consecration of Russia. The first part of the secret: Mary is God. She is not another God nor a fourth person of God. Rather, She is the same God that The Most Holy Trinity Is. She, Mary, is the Most Holy Trinity, The Father, The Son, and The Most Holy Spirit, One God. The second part of the secret: The Holy Father will suffer as a victim soul. The identity of Our Lady’s Pope, the one who will Consecrate Russia, was also revealed to me. I know his name and nationality, and I saw his face. The Antichrist will be animated through the dead body of a Saint – a martyred Pope. His reign will begin with the assassination of the Pope of Fatima, will last as the long interregnum that follows, and will end shortly before the Pope of Fatima is finally laid to rest. I have long read the prophetic words in visionaries in the last 30 years. I read the released 3rd secret. Her Immaculate Heart has not yet won the fight. My thoughts are this, it isnt the full secret and it was not in reference to the attempt on Pope John Paul II life although he believed it to be. I believe it does contain the loss of the faith in all of Europe, except to the edge where Portugal will stand strong. Probably errors by priests and bishops, errors by all of us and great sin. World War will again come and soon, I think that mountain is the hill in Medjugorje, the city in ruins and the Pope and holy will come to visit the permanent sign Our Lady leaves as promised. Radical Islamics will kill the faithful who attempt to go see this sign and be martyred. I believe her reign of Peace will come after the Triumph of her Immaculate Heart at the Rescue, this year after much war and sadness, as foretold by Charlie Johnston. Intercede for the world...I'm sure with tearsl of blood by now as the world head further 59 the mountain of Golgath in great immorality n more painfuly by those who call themselves "my own" as clearly in many revelations like Sister Annan Ali's revelations. Oh merciful Lord,the blessed three, and u mother Mary pray for us, pray for the world as we close to the dee..
Dominic Sanchez's purported visions are self-claimed. He is not, at least yet, approved by the Church. If you say the third secret of fatima is a dogma and that it states that Mary is Divine or is God, then that's one long shot. Only by a miracle will he make it. Portugal has homosexual marriage, homo adoption of children, low mass attendance, abortion and the lowest birthrate in Europe. What is the "Dogma of the Faith" and how has Portugal benefited or remained more Catholic by having it? I fear the 3rd secret also tells us that a non-pope, in this case Francis, will be selected and the Church will suffer mightily as will not accept what he says and does causing many to not attend Mass and communion, or attend protestant churches, etc. Have you not noticed how many churches have closed down, how attendance is very, very low. We did not pay attention to our faith and prayers. It is not too late as God is good and generous in His love. I could not sleep well at night without my prayers and prayers for President Trump and his family, as so many of us returned to praying and praying for freedom from communism via the democrat party members and Satan's many evil elites who want to take over our country and enslave us or kill us. We must stand firm and continue praying and receiving communion and if Russia is to our salvation, then so be it and maybe that is why the democrats brainless keep trying to connect Trump criminally to Russia instead of recognizing Russia is a force and now their churches are open and full. God always works in strange ways but I am open to whatever He does for us and America, which He created to be unique as a Republic and a Beacon on the Hill, so we are valuable to the world and it is our duty as Catholics to save the world. I have noticed Trump saying more about God and our connection to him. Something wonderful as Trump was really not much of a God man, and Melania is a practicing Catholic so that marriage has a special meaning as well to Trump's envolvement in saving America and us. Third secret: Great schism. With the aid of mass media and communications Catholic will start attacking the Church and the Holy Father. Thinking themselves to be faithful to Jesus they will rise up against their lawful superiors and die outside the Church. The Church will become very tiny because very few people submit to the pope with docility and trust. The nations will war against each other, especially against the Church, because it teaches a doctrine of love in a time of fear and tries to restrain lawlessness and unjust violence. When all hope seems to be lost, the immaculate heart will triumph and the world will be converted and granted a period of peace, after a time of desolation and martyrdom. Since everyone is throwing a guess, this is mine. must be careful with visionary claims...philippines is a Catholic country with lots miracle rsports...Sanchez is claiming so much. I believe the third secret is more about the Masonic takeover of Vatican II, and subversion of the Catholic Church afterwards. There has never been more confusing times in regards to Church teaching, and the Masonic Jews want to bring the one true Church down to the level of other antichrist religions. Protestants are not Christian, but we are being told to treat them as equals, even though scripture tells us that they are the same as heathens and publicans (Pagans)Matthew 18:17. I do know that the Church has to be scourged and crucified with Christ before the Triumph of the Immaculate Heart, when the Church rises from the dead as Christ did. Excellent post. I agree with you 100%. That's totally false. As Steve posted, the key sentence is in the *Fourth* - not the Third - Memoir: "In Portugal, the dogma of the Faith will always be preserved... and the rest is held by "etc.". Her words must be revealed in order to bring about the end of the crisis in the Church. False. Mary is not nor will She ever be God. He should read True Devotion to Mary by St. Louis Marie Grignon de Montfort.